Rosemary (Rosmarinus Officininalis) is a fragrant perennial herb native to the Mediterranean region. It is an evergreen shrub that and grows to around 1.5 metres and flowers in the spring and summer. The essential oil is extracted from the fresh flowering tops using steam distillation. 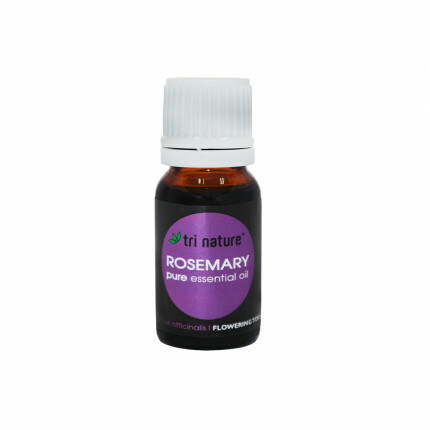 With its refreshing herbal aroma, Rosemary essential oil is invigorating and helps to improve concentration and memory.